Admit it. You're a lot smarter than your brothers. You don't have to be bashful about it. No one here is going to call you a nerd. Donatello is the smart one of the Teenage Mutant Ninja Turtles and he's done plenty of cool stuff. If you accept the 1980's toy line as canon (which we do), then you know that he once created a militarized vehicle capable of shooting pizzas at bad guys. Any guy who can do that and wield a bo-staff like an expert, is one radical dude in our book. 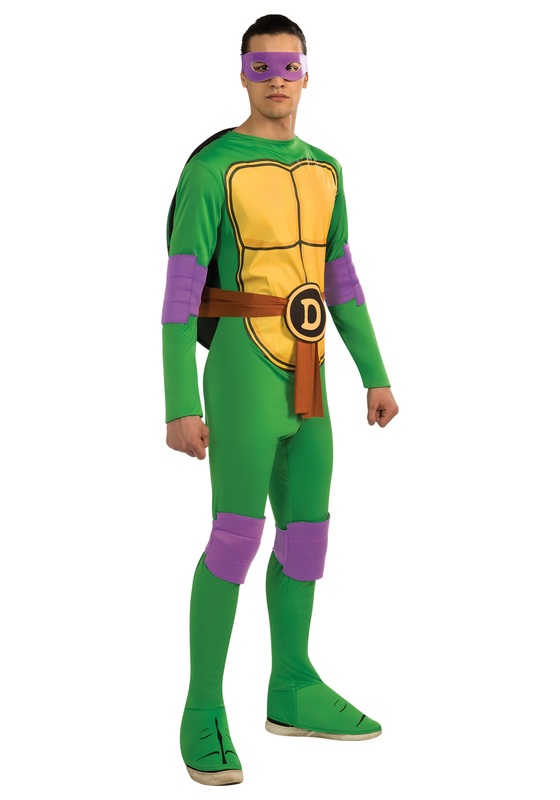 If you want to lay claim to inventing the pizza tank, or just think that you deserve the title of the smart-guy of the group, then this Donatello costume is for you.